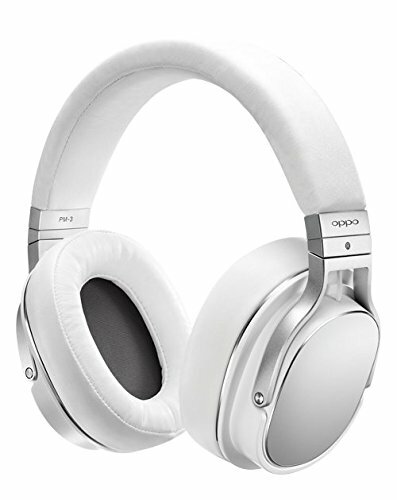 OPPO have been in the high-end audio game for quite some time now but only recently had they got themselves involved with headphones and they did so in a big way with their flagship PM-1. Now, OPPO is back with their second offering. The Oppo PM-2, is a headphone which uses the same planar magnetic drivers in the PM-1 while cutting the cost of entry by making changes to the packaging and accessories. 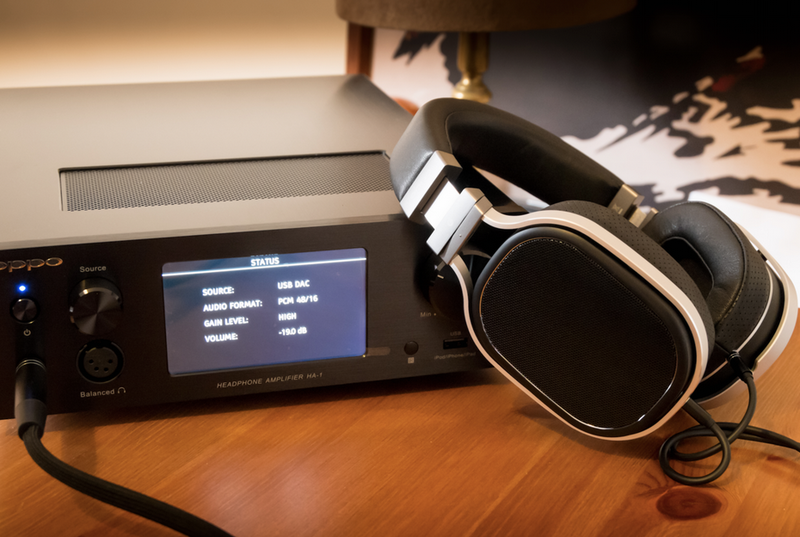 Planar Magnetic drivers have been around for a while but have been made ever more popular in recent years with success from of Audeze and Fostex. I have owned and used plenty of planar headphones in the past few years such as the Fostex T50rp, Audeze LCD-2 and Hifiman HE400 and all of which have been excellent in their own right. However, the Oppo is the most excited I have been about a Headphone in a long time. This Oppo PM-2 Review focuses on the headphones but you may hear me mention the OPPO HA-1 headphone amplifier which will be reviewed in full in the coming days. Feel free to check out this Oppo HA-1 Review here. THE MEAT OF THE REVIEW. Packaging is surprisingly simple and without much fanfare when you compare it to the next to the all-out luxury of the Oppo PM-1. However, it is still a nice presentation box without any graphics or printings other than the OPPO logo. Once you open the Box the headphones are in their protective carry case, which is an extra layer of protection during transit. The case itself is well padded with a single zipper and is constructed from dark wash denim which whilst not to personal taste should prove to be very durable. Apart from that all there really is to mention is they have put a layer of film across the grills to keep dirt or dust entering them during transport so remember to take this off before you turn them on. The Oppo PM-2 review set came with just a few accessories but they were all of excellent quality. First is the soft case into which the headphones fold flat therefore making it very slim and perfect for taking them with you when on the go. The headphone case is well padded and has sufficient room inside so you can carry a couple of cables or spare earpads if you purchase them separately. There were 2 sets of cables included in the Oppo PM-2 Review unit, one for portable use (short) and the other for use with a home amp such as OPPO’s brilliant HA-1. The portable cable is similar in style to a good earphone cable its seems well made with good jacking points and a 3.5mm jack. The main cable that comes with the PM-2 is exceptional and one of the best headphone cables I have seen included as standard on any audiophile headphone. The cable is terminated in a gold-plated quarter-inch jack and is also corded for extra protection. Microphonics were minimal and a non-issue. Build quality of all the included Oppo PM-2 accessories is excellent. The build quality observed on the OPPO PM-2 Review is absolutely exceptional. It feels very well made with zero creaking or weak points. The headband adjustment and swivel points are constructed of metal and are super smooth. In the hand they feel very sturdy but also are also incredibly light for a planer magnetic headphone far lighter than the Audeze LCD-2’s and also the hybrid Final Audio Pandora VI headphones (Review here). Looks wise these have to be one of the best aesthetically styled headphones on the market, modern and classy, very streamlined. You can easily travel with these safe in the knowledge that they feel sturdy enough to take a level of daily abuse rather than having to be babied as is the case with some of their competitors. On the head the Oppo PM-2 keep a much lower profile than the two previously mentioned models. The Oppo PM-2 are of course open backed headphones so they do let in ambient noise as well as leak their own sound. However, for an open backed headphone they actually offer some level of isolation but still nothing compared to closed-back models. It's not something you would want to use for commuting or one a plane for instance but it doesn’t need absolute silence to perform which is a plus. Fit and comfort were major plus during the Oppo PM-2 review. They are just supremely comfortable. It absolutely blows the Audeze LCD-2, Fostex t50rp and Final Audio Pandora out of the water when it comes to fit. For one it stays on the head very easily without any lateral movement. The pads are very comfortable and even though they are a “downgrade” from the PM-1’s leather pads the synthetic pads have a good degree of breathability and combined with the open back design, help to prevent the build-up of excess heat. The headband was very well padded and the clamping force again excellent. Adding to the comfort of the Oppo PM-2 is the fact that the cups swivel 180 degrees which helps them, to not only fold flat, but also allows to find a more natural position on your head. They are the best planars I have used in terms of comfort and again this is down to weight my biggest (and just about only) gripe with the Audeze is the overall weight becomes fatiguing after hours of use at a desk. With the Oppo headphones there are no such issues. Sound is undoubtedly top tier and the Oppo PM-2 are certainly one of the bests sounding headphones I have ever heard. When you get to flagship/end game level there is very little between headphones in regards to sound… some reviewers will talk as if there is gigantic leaps and bounds between different headphones at this level but its just not true. There are certainly subtle changes and really the best way for something to be considered is to get your hands on one yourself and make up your own mind. Happily, I would put this headphone next to an Audeze LCD2, Pandora Hope or Hifiman HE400 and have a very hard time deciding. Where the OPPO PM-2 really takes a shot at the competition is on price, drivability from multiple sources, weight and modern streamlined styling. That said the sound observed during the OPPO PM-2 review is one that is intensely detailed, clear, open and with an amazing soundstage. Instruments seem to be presented just as beautifully as vocals and performance from highs to lows is outstanding. Its balanced with the slightest of mid bass humps which I think lends to it being a very versatile headphone for all genres. Sitting with this headphone on hooked up to the OPPO HA-1 amplifier is a match made in heaven for anyone who wants to sit back and take in his or her music. The Oppo PM-2 headphones have another trick up its sleeve though and that is that at just 40ohms it is ridiculously easy to drive from a variety of sources. Treble – The treble on the OPPO PM-2 was unsurprisingly excellent creating lots of detail without being too sharp. Absolutely zero fatigue is caused by the pleasing top end and if pressed you would say it sits slightly more relaxed than the rest of the spectrum. This is particularly pleasing to me because I just cant ever get to grips with treble happy gear (Ultrasone). Treble is the one area I feel a company can ruin a headphone, I can live with a bit of bass bloat, I can live with stuffy mids but not with a piercing high end and OPPO hasn’t just made the PM-2 acceptable they have made it enjoyable. Swishes of high hats, piccolo blasts and piano dashes are all present and correct and sound remarkably close to real life. Mids – Mids are without any shadow of a doubt the highlight of the headphone. I was listening to Sungha Jung’s acoustic fingerpicking and have never heard it sound so enjoyable. The resonance of the strings is damm near perfect and the clarity and separation are both incredible. The detail retrieval is also very much a focus point and little things like Sungha’s finger slides on the fret board in "Hazy Sunshine" and Einaudi’s use of the dampening pedal on "Divenire" became more apparent which enhanced the listening experience and sense of intimacy. Vocals from both male and female singers are about as accurate as it gets, with the weight and gravel of Everlast on "White Trash Beautiful" to the lush an smoothness of Diana Krall the PM-2 never missed a beat. Lows – Bass is some of the cleanest I have heard. Its tight and controlled at all times but still managing to hit out low when it needs too. Theres not quite the visceral rumble that you get from the hybrid FAD Pandora’s but the OPPO headphones are still the better all around performer and especially when we are talking about accuracy of the bass. There was also the slightest of mid bass humps added that adds a little warmth to the headphone, very very slight and enhances electronic music. You can tell from the above that I am a huge fan of what Oppo is doing and there is very little I found that is worthwhile criticising during the Oppo PM-2 review. Quite the opposite, there is just so much to praise. The only thing that was not to my taste was the use of Denim on the carry case but then again i could never of imagined carrying a top tier planar in such a small package. Maybe the box and the pads are what you might miss out on with regards to the PM-1 but the PM-2 comes in at $699 US (pre tax) and £699 UK and at this price competition is scarce. A few months ago I got rid of my Audeze LCD-2, they were great headphones no doubt but ultimately it was the size, weight and efficiency where it didn't quite meet my needs. The Pandora Hope VI came next because they were so easy to drive and I felt I lost out only marginally in sound but with the PM-2 you get incredible sound, portability, efficiency, low weight, great build, affordability and comfort all in one package. Im not saying its the perfect headphone but its damm near close to it and an incredible all rounder. Please check back in the coming days for the review of the OPPO HA1 headphone amplifier pictured in the lead picture. *Comparisons based off Audeze LCD-2 are from notes and memory. Comparisons with Final Audio Pandora VI and Modified Fostex T50rp were conducted side by side. *Update* It has now been well over a year with the Oppo PM and what can I say about them? Well for one they look almost exactly the same as the day I bought them. These headphones hold up extremely well, especially knowing how rough I have been on them. Since we wrote this review of the Oppo PM2 a few more affordable planar headphones have came on the market, most notably the Audeze EL-8 series. I have spent some time with both now and I have to say I would take the PM-2 over the EL-8 open ever day of the week. Something about the PM-2 sounds much more natural and refined to my ears. Visit the Oppo website to find out more about the OPPO PM-2.